To get a FREE Copy of Pilot’s Guide to Avionics, click ‘Single Copy Request’ box, fill out the form and submit. 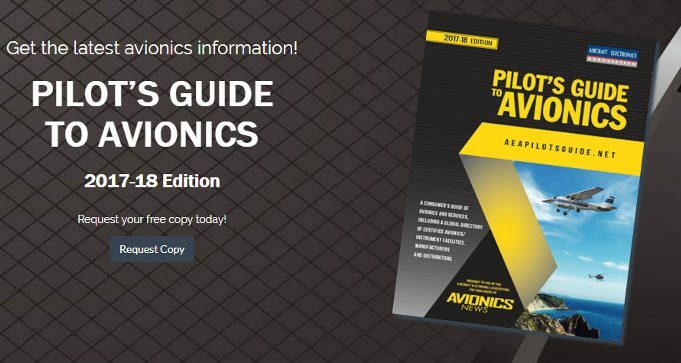 Welcome to the 15th edition of the Pilot’s Guide to Avionics, a consumer’s directory loaded with educational articles, timely information and data about the wonderful world of avionics technologies. This free publication is distributed to thousands of pilots and aircraft owners each year, helping them to make better buying decisions and locate nearly 1,300 AEA member companies in more than 40 countries.